Steeped in mystique, Cuba creates legends. A year after the United States and Cuba restored diplomatic relations, dormant for more than half a century, traveling to Cuba has never been easier. For 16 years, insightCuba has been sending Americans to Cuba making visiting this once forbidden island, a reality. Well beyond Havana and its architectural splendor, Cuba beckons with both cultural and natural wonders. 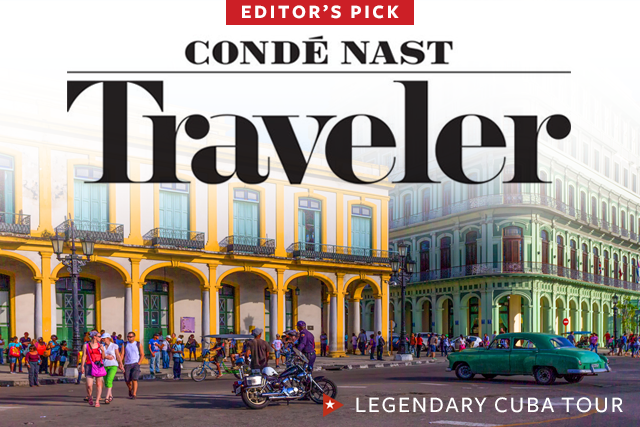 On our Legendary Cuba Tour, awarded a “Conde Nast Traveler” Top Editor’s Pick, you can experience it all, before Cuba changes forever. Starting from Havana, Cuba’s leading lady still echoes the glamour times of 50s Americana. Its colonial facades, and plazas rife with color, and music are your first taste of this island nation. Bordered by El Malecón, the famed seaside boulevard that runs along the waterfront, this is where your romance with the island nation kicks in. Following, you’ll journey westward to Pinar del Río province, laden with tobacco fields and the glorious Viñales Valley, known as Cuba’s Yosemite. Here, limestone bulges soar to the sky – the famed mogotes – often wrapped in morning fog. Listed as a top 52 places to visit in 2016 by the New York Times, this UNESCO World Heritage Site, flaunts its red-earth pastures, and old way of life. It’s a site not to be missed for cigar aficionados and nature enthusiasts alike. As part of our Legendary Cuba tour you’ll meet inspiring people - artists, musicians and community leaders – so heartfelt and welcoming, you’ll long to come back.